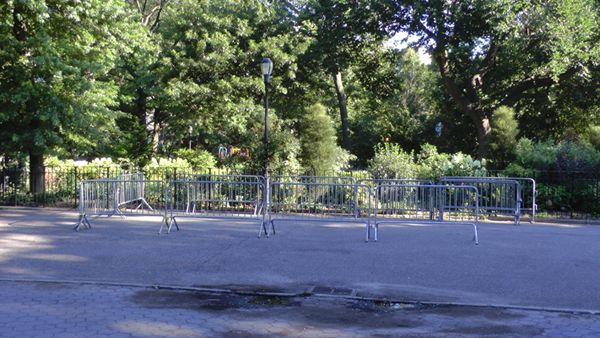 East Villagers all know the area in Tompkins Square Park where Christmas trees are taken to be mulched. It's almost as festive a ritual as buying the tree — helping it to rejoin the circle of life! Last week, the Terrahawk Mobile Utility Surveillance Tower was parked here. It's gone now, but they left the fence. 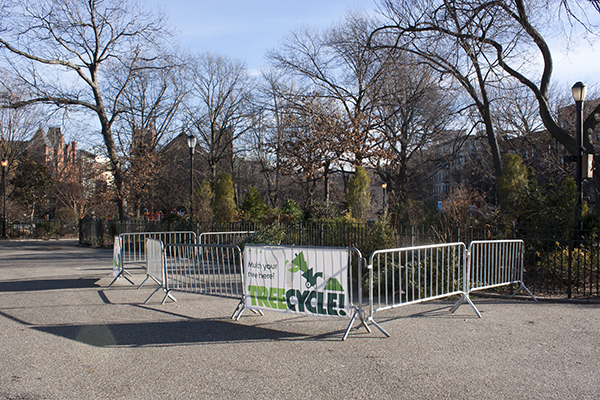 It's never too soon to treecycle… in the East Village Today!